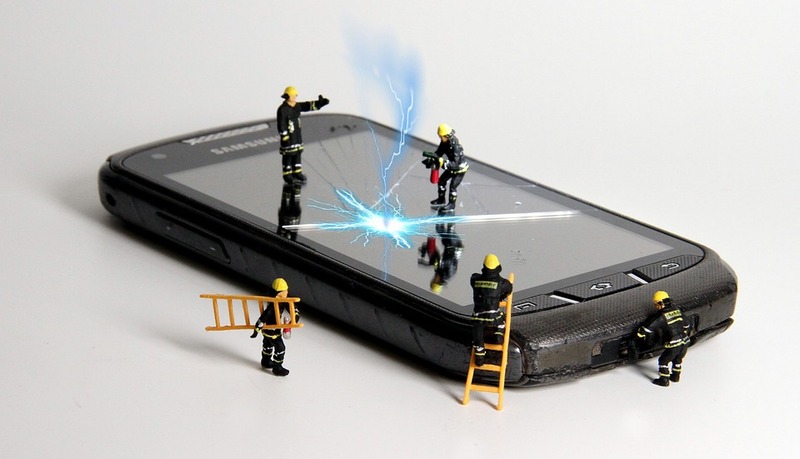 Several common reasons for mobile phone repairs are not always covered by the manufacturer’s warranty. If you have a malfunctioning cell phone at the moment, you are likely to be in panic mode. For many people, phones have become reliable companions that have taken the place of the iPod for listening to music, calendars for monitoring appointments and laptops for browsing the web. You probably use your phone for communication that ranges from sending emails on the go to texting. People download and store a lot of information in their phones, which is why any form of damage or losing a phone can seem like the worst thing in these modern times. There are various repair needs and it is important to figure out the best course of action whenever you want your phone to start working again. Your phone’s screen may be shattered, cracked or scratched. Running over, steeping on and dropping a phone are among the causes of broken screens. Smartphone screens of modern device are usually fabricated from glass that has been designed to withstand some levels of impact but this capacity is limited. A strong or major impact can cause the touch screen to break under various circumstances. People often experience problems when charging their cell phones. A cell phone may require a new charging port. Damaged cell phone chargers can be very inconvenient, especially if you usually use your phone for essential reasons. If the power of your device is drained and it cannot be charged, your phone will basically be unusable. Being unable to pick up wireless internet is another common need for repair. This is a problem that usually arises from issues such as firmware errors within the operating system. Similar device problems include the inability to install or download apps. These can be frustrating issues that render your phone worthless. If the buttons on your phone are sticking or not working, a professional cleaning may be required. The home button gets stuck occasionally due to frequent use and can make using your phone regularly a bit of an annoyance. Related problems consist of non-functional volume control or broken side switches that are used to turn off ringtones. When water enters your phone, it can corrode the internal components as time goes on if the situation is not dealt with as soon as possible. Recommended home remedies such as placing the phone in rice may only remove moisture from the surface. Dropping a device in the bathtub, sink or toilet is a problem that no phone owner wants to encounter. A brief moment of carelessness can lead to a damaged phone that requires professional repair. Smartphones can be rendered useless when the water makes its way into the internal circuitry. Another top reason for repair is batteries that are not properly charging. Some batteries may die out quickly despite holding a charge, which indicates there may be a functionality issue. A manufacturing defect may be the root cause of the problem and a battery replacement can solve the issue. Oh my goodness! Incredible article dude! Thanks, However I am experiencing issues with your RSS. I don’t know the reason why I can’t join it. Is there anybody else getting similar RSS problems? Anybody who knows the answer can you kindly respond? Thanx!! Thank you, Adan! I’m glad you found this article incredible. Click here to subscribe and get Tech-Wonders.com updates delivered by email to your inbox.